Business Opportunity Handbook - Philippine distributor of magazines, books, journals, etc. 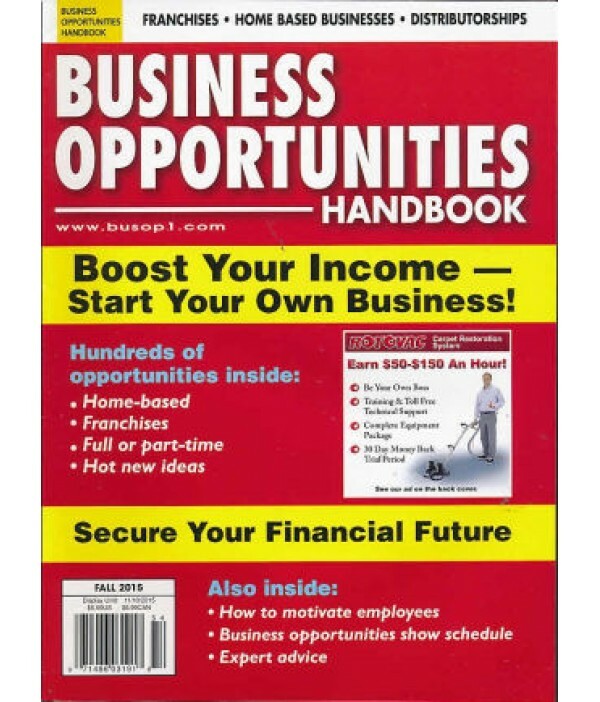 Business Opportunities Handbook lists over 2,500 business and franchise opportunities. Each issue lists business opportunities with investment requirements ranging from $100 to $1 million. Special features include success stories, interviews with owners and operators, market research, and helpful articles for people who want to be their own boss. If you want to start your own business this magazine subscription is for you!